Hey Friends, I hope you’re doing marvellously well! I recently had an amazing day at Tommy Lee’s studio “The Atrium” recording a bonus tutorial for Matt Starr’s course: Producing & Recording Drums. As you would expect from the studio of one of the world’s greatest drummers , “The Atrium” is one of the best equipped studios in L.A. and it has an absolutely incredible sounding live room. We’ve gotten a lot of questions about the Glyn Johns’ drum micing technique which was used on big time Rock records by Led Zeppelin and The Rolling Stones, so we took this opportunity to have Smiley Sean, Tommy Lee’s house engineer, explain how to use this technique in detail. We also show off more modern micing techniques with a full set of mics and walk you through the complete recording chains from start to finish. 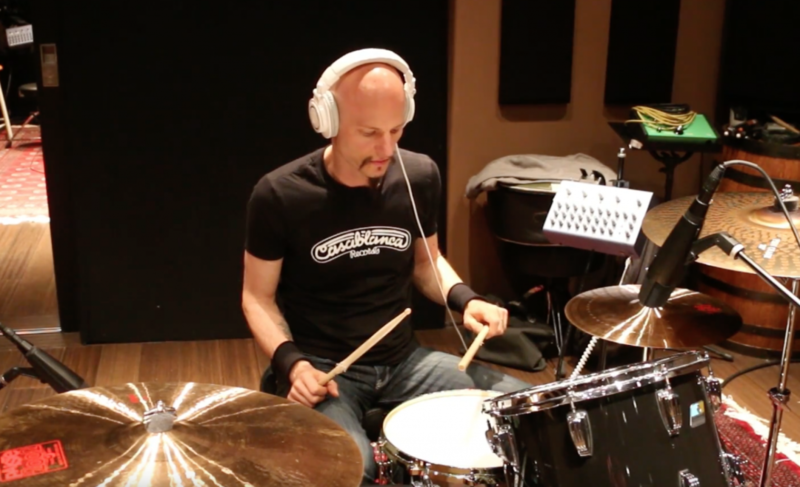 Matt discusses what it takes to become a professional session drummer and how you can improve your performance and playing technique to get great drum recordings. It’s an amazing bonus tutorial and we’re releasing it today! Well firstly of course you are very welcome to pick up Matt Starr’s course and get access to this amazing lesson and all the recorded multitracks, in addition to the main course. But even better than that, you’ll get to download the drum samples Matt has recorded in this session for free! Let me tell you they sound absolutely amazing: Punchy, big and natural. Have a wonderful holiday and enjoy the time with your friends and family. Do You Need an Audio Engineering Degree?